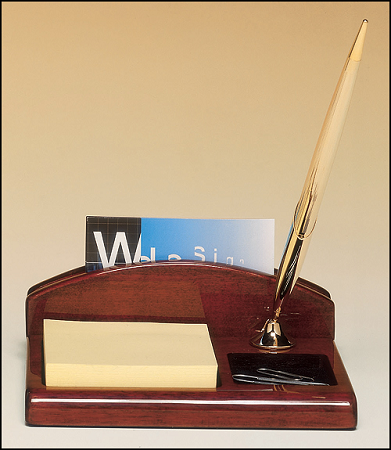 Rosewood Piano-Finish Desk Organizer with Business Card Holder, Pen and Notepad. Laser Engraved Plate included. 4.75 x 5.625 inches. Looks great on any desk!